How does your nonprofit handle planning? Do you have a planning calendar, a content calendar, a single integrated planning document or none of the above? Tell us in the comments!JD Lasica, founder and former editor of Socialbrite, is co-founder of Cruiseable. Contact JD or follow him on Twitter or Google Plus. This is an extremely helpful article, JD. Thank you. Question – are there examples of both messaging calendar and content calendar formats that you can point me to? @DLFellows Hi, thanks. I don’t know that there is, since some of the concepts here around content calendars and creating content are relatively new to the nonprofit sector. 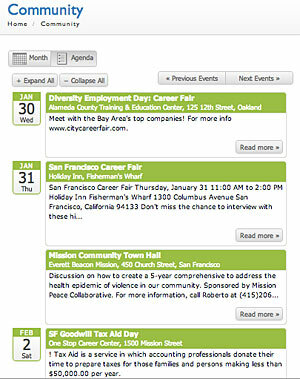 I usually don’t point to paid webinars, but I’m giving a webinar on social media strategy for CharityHowTo on Feb. 20 that includes a downloadable example of a content calendar.